The Raptor energisers have been designed to offer the highest level of flexibility, quality and simplicity of operation. This Raptor has the ability to operate from three different power sources; a 12V external leisure battery, a 230V AC Mains Adaptor AND from an internal 6V spring top PJ996 battery!! Innovative three colour rotating LED display relays information on the health of your fence system at a glance. All of these features are housed in a ABS case of unrivalled strength. 6V internal battery input, 12V external battery power input, 230V mains input adaptor - The battery can operate as a reserve back up when charging your 12v battery or when unable to check your 12v battery status. 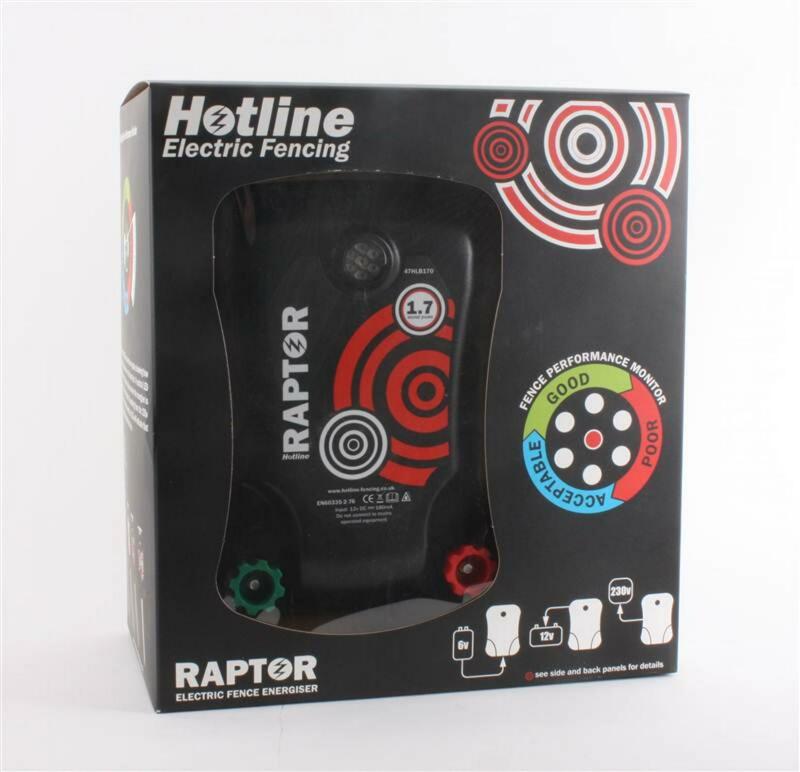 Three colour fence performance monitor - The three colour rotating LED rotates with every pulse, showing how much effective voltage you have on the fence line. Low battery indicator - A central LED flashes red when your 12V battery is low or when the energiser is running from the 6V internal battery.